Great to see that you have popped back to my blog. 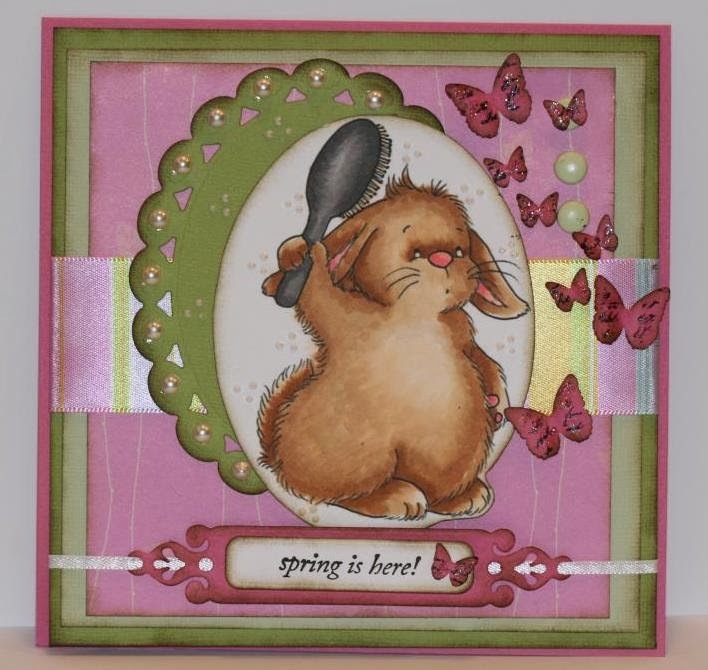 I have done this super cute card for the Whimsy Challenge blog . The theme this month is Easter... Add bunnies or chicks etc. Great to see that Easter is getting close you know what that means, the snow will melt and spring will finally be here Yahhhhh! That excites me, this winter has been soooo long with a tons of snow. I can not wait for green grass and flowers, warm sunshine. 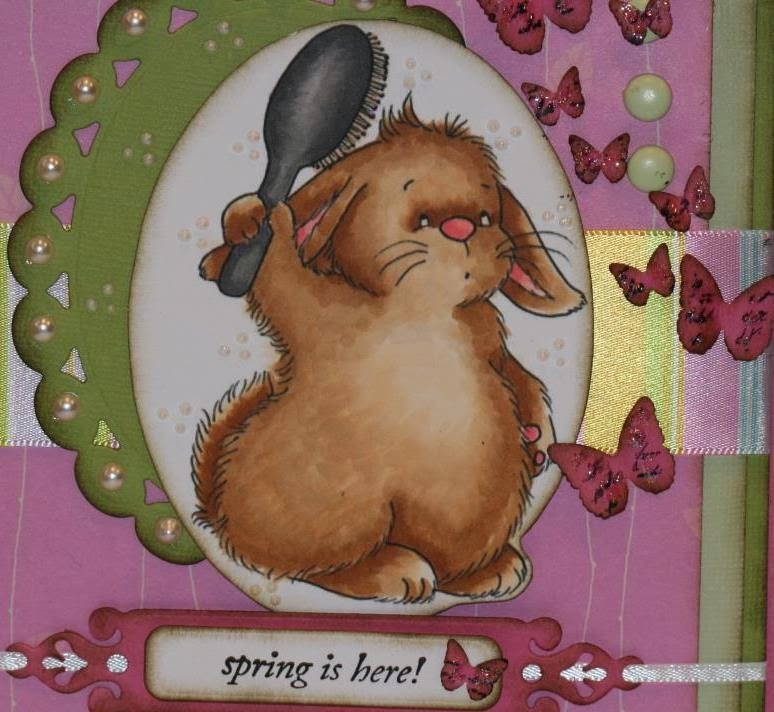 I have made this card using a wonderful new stamp set from Whimsy Stamps by designer Crissy Armstrong called Funny Bunnies. It has quite a number of images with this set this is just one of many cute cute images. I made this card using some soft spring colors to give it that spring feel. I hope to see you create a super cute card and enter it for a chance to win some great images from Whimsy Stamps. Great to see you again and have a wonderful day. Awesome, love the image and nice touch with the butterflies! Way to go!